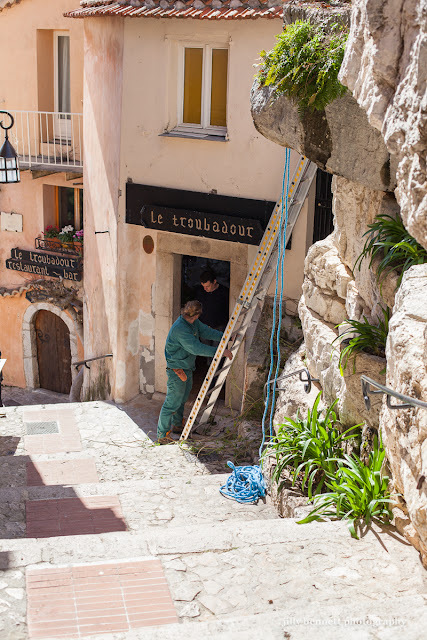 Monte Carlo Weekly Photo: Eze Village - Grab the Moment! Eze Village - Grab the Moment! Any work that needs doing in Eze Village involves lugging the materials and the tools up the narrow streets and then lugging everything, including any waste materials, back again. 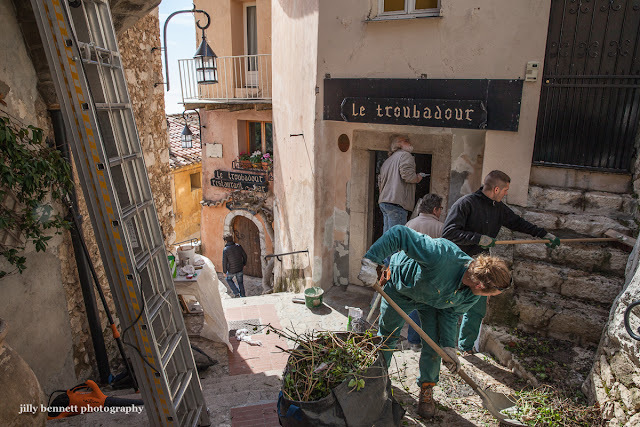 As I walked up this little street, the guy with the beard who is plastering under the sign 'le troubadour' looked right at me. He has a marvellous face and I should have taken his photo at that moment but I thought I'd do it on the way back down. But by then he'd gone. Grab the moment! Applies to everything in life, doesn't it? Indeed it is. I missed four or five good portraits yesterday because of hesitation. You should always go for it, the worst thing that can happen is that you are turned down. Looks like they got a lot of work accomplished. I rarely miss a blog shoot that I don't wish I'd taken someone's photo close up. Could this be Spring at last?